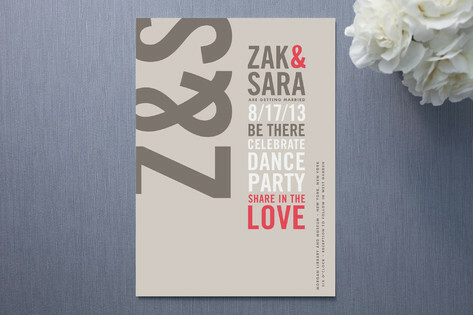 Type Stack modern wedding invitations from Minted are a wonderful choice for your contemporary bash. These wedding invitations showcase sleek design at its best. Stacked type and a show-stopping ampersand feel so fresh. Available in the following colors : Warm Red (shown), Grass Green, and Burnt Orange.